Welcome to the beautiful Horizons@Woodlake by Ryan Homes! This Spacious Ranch features foyer, living room w/ gas fireplace & hrdwd floors. This beautiful home also features formal dining room w/french door, kitchen w/42'' wood cabinets, corian counters, cathedral ceilings, stainless steel appliances, ceramic tile floor & breakfast bar. 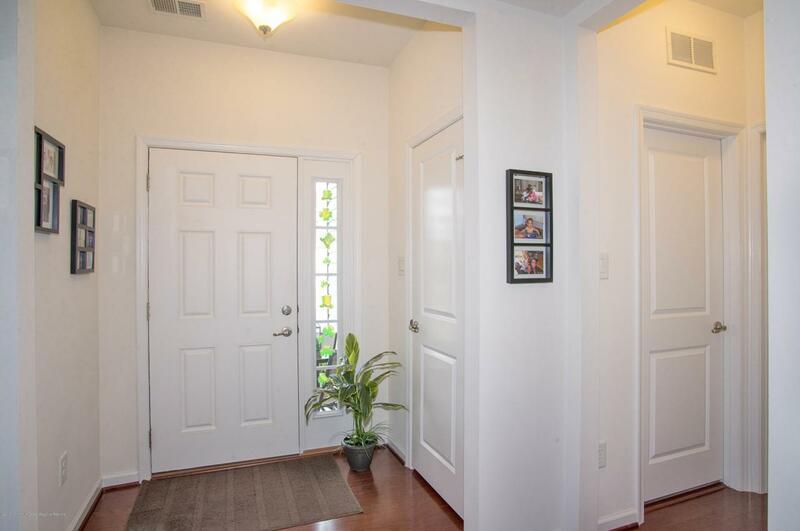 Two nice sized bedrooms, office/study, 2 full baths, laundry room & attached 2 car garage! Master Suite w/ walk in closet & private full bath w/ double vanity & shower stall! Community amenities include a clubhouse w/fitness center, game room for billiards or cards & an arts & crafts studio. Enjoy outdoor heated pool or golf nearby at adjacent Woodlake Country Club. Fantastic location, minutes to everything! Built in surround system.This home is a must see! Listing information © 2019 Monmouth-Ocean MLS. Listing provided courtesy of Ellen Dynov-Dell'alba of Keller Williams Realty Monmouth/Ocean.